Audit, tax and consulting firm RSM has appointed Rob McCarthy as a new financial due diligence partner – further strengthening the firm’s offering across the North. Rob brings extensive knowledge of buy and sell side financial due diligence projects across a wide variety of sectors for private equity, corporate and banking clients, with a specialism in financial services. Rob is a prominent adviser with over 24 years’ experience working in practice and industry, including over a decade working within a Big 4 firm based in Manchester and New York. He joins from an independent advisory firm, where he acted for clients across the North. 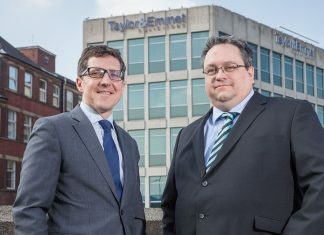 In his new role, he will work alongside Steve Green in the North West and Martin Athey in Yorkshire and the North East to support acquisitive businesses and funding institutions with strategic regional, national and international transactions across the North.